Refer myCBSEguide app to your friends and earn money. myCBSEguide has just introduced 50-50 offer on referring the app to friends. myCBSEguide will add Rs.50/- to your myWallet account (inside the app) and Rs.50/- will also be added to your friend’s account (myWallet in the app). The fifty-fifty offer is valid for limited period only. 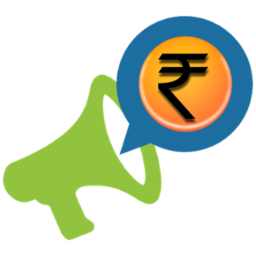 myCBSEguide will add Rs.50/- to your myWallet account and Rs.50/- to your friend’s myWallet account as soon as your friend installs myCBSEguide app and enters the referral code shared by you. This is valid for new users only. You can use this amount to purchase sample papers, test papers, worksheets, online tests and other study packages from myCBSEguide app. Just install or upgrade myCBSEguide App to latest version from google playstore now and tap the Refer and Earn icon on the home screen. You will find the code there with option to share the same via whatsapp, email, share-it or SMS. Just share the app with your friends and ask them to enter your referral code. On every successful installation, both of you will get Rs.50/- in your myWallet account.